Jennifer Doudna, an internationally renowned biochemist who is the co-inventor of the CRISPR-Cas9 genome editing technology and a leading public voice in the discussion of its societal and ethical implications, will deliver the Bates College Commencement address and receive an honorary degree on Sunday, May 26. Dolores Huerta, a labor activist and civil rights icon who co-founded the United Farm Workers of America and is founder and president of the Dolores Huerta Foundation. Travis Mills, a Maine resident and Army veteran who became a quadruple amputee in combat and is now an advocate for combat-injured veterans. Megan Smith, CEO of shift7 and former Google executive and U.S. chief technology officer who is a visionary for tech innovation, collaboration, education, and inclusivity. Co-inventor of the gene-editing technology known as CRISPR-Cas9, Jennifer Doudna will deliver the 2019 Commencement address on May 26. Jennifer Doudna is the co-inventor, with French scientist Emmanuelle Charpentier, of the gene-editing technology known as CRISPR-Cas9. This radically accessible scientific tool gives new hope for solving serious threats to human health such as HIV, sickle cell disease, and Huntington’s disease. A scientist of the first rank, Doudna in recent years has won public acclaim for sounding the call for thoughtful discussion of the potential societal implications of gene editing. While CRISPR promises a low-cost, simple means of editing the DNA of any organism, which could lead to transformative advances in healthcare, farming, and environmental protection, Doudna has written and spoken widely about the need to carefully consider the ramifications of our new ability to manipulate DNA. 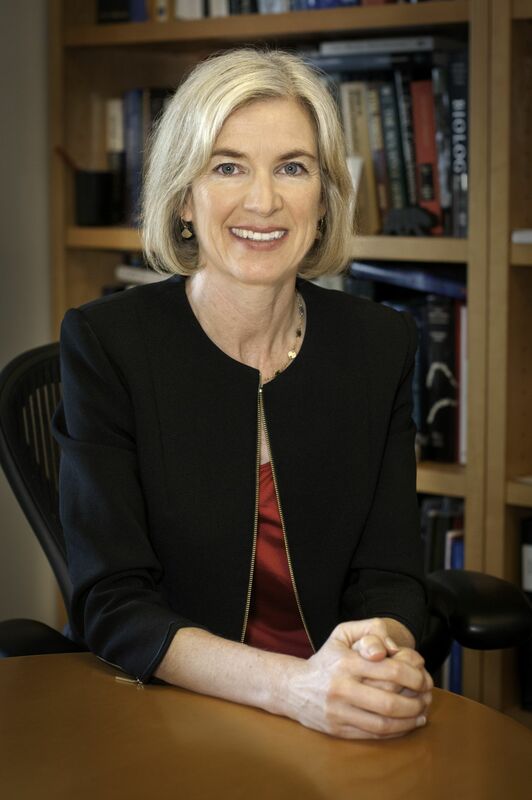 Since 2002, Doudna has been a professor at the University of California, Berkeley, where she founded the Innovative Genomics Institute and holds the Li Ka Shing Chancellor’s Chair in Biomedical Sciences. She was named one of Time Magazine’s 100 most influential people in the world in 2015, and one of Foreign Policy’s 100 Leading Global Thinkers in 2014. The recipient of many awards, she was a co-recipient of the 2018 Kavli Prize in Nanoscience, given every other year by the Norwegian Academy of Science and Letters and the Kavli Foundation. Doudna earned a bachelor’s degree at Pomona College and a doctorate at Harvard Medical School. Dolores Huerta, a labor activist and civil rights icon who co-founded the United Farm Workers of America, will receive an honorary Doctor of Humane Letters degree. 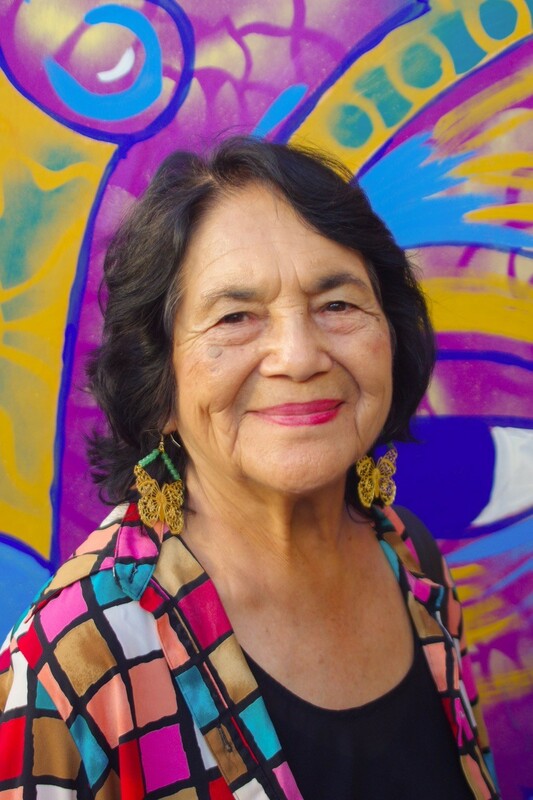 Dolores Huerta is a civil rights icon, unflinching organizer, and labor activist who, for more than half a century, has fought for the rights of workers, Latinx people, immigrants, and women. In 1962, Huerta co-founded with César Chávez the organization that would become the United Farm Workers of America. The union’s famous grape strikes in the 1960s and 1970s led to some of the first collective bargaining agreements for farm workers. Huerta served as UFW vice president until 1999. Over the past four decades, Huerta has been a lobbyist for workers’ rights. She has also worked to increase the political participation and election to public office of Latinx people and women. Huerta’s contributions have been recognized with the Eugene V. Debs Foundation Outstanding American Award, the United States Presidential Eleanor Roosevelt Award for Human Rights, and the Presidential Medal of Freedom. In 1993 she became the first Latina inducted into the National Women’s Hall of Fame. She is president of the Dolores Huerta Foundation, a community benefit organization. In various states in the U.S. Southwest, six public schools are named for her. Travis Mills of Manchester, Maine, is a U.S. Army combat veteran who turned personal tragedy into the opportunity to support fellow wounded veterans. 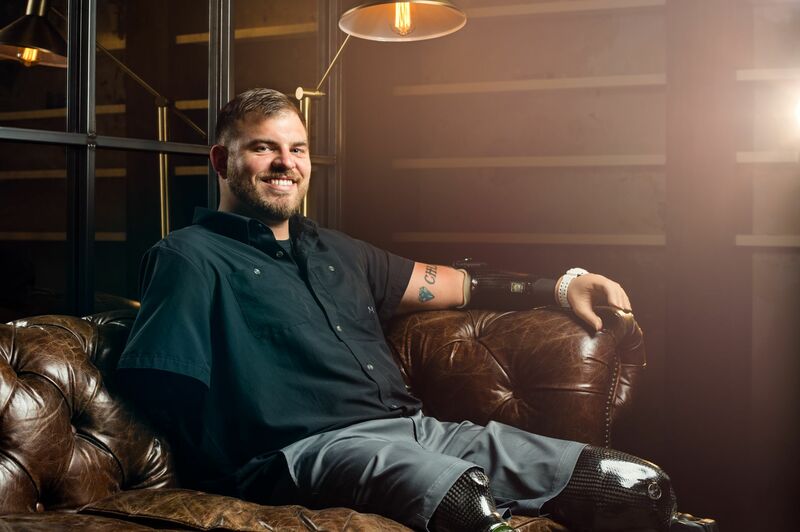 In 2012, Mills lost parts of both arms and both legs after stepping on an improvised explosive device in Afghanistan, becoming one of only five veterans of combat in Iraq and Afghanistan to survive a quadruple amputation. Doctors told him he would spend three years in the hospital. Yet just four months after his injury, and even before he was discharged, he walked a 5-kilometer race. Since his injury, Mills has worked tirelessly to ensure that veterans have the resources they need to overcome physical obstacles and strengthen their families and to raise the public visibility of their needs. In 2013 he founded the Travis Mills Foundation, which provides restorative, barrier-free retreats at no cost for veterans and their families at a former estate in Maine, a state that has one of the highest veteran populations per capita. 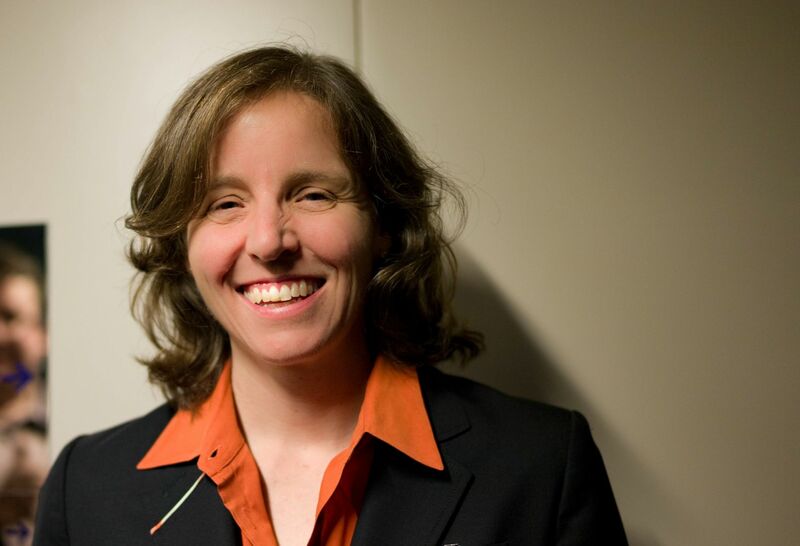 For his service, Mills received a Citizen Honors Award from the Congressional Medal of Honor Society during a March 25 ceremony in Washington, D.C.
Megan Smith is an engineer, entrepreneur, and pioneering advocate for education and inclusivity in the field of technology. She is founder and CEO of shift7, an organization that combines the best in technology innovation and public service to collaboratively tackle systemic economic, social, and environmental challenges. Smith has been outspoken and effective, in her writing and her business ventures, in inspiring people of all backgrounds to see themselves in tech. The past CEO of Planet Out, an online community for LGBTQ people, Smith has been selected by Out magazine as one of the 50 most powerful LGBTQ people in the U.S.